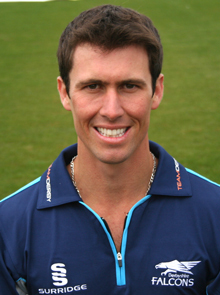 Derbyshire CCC skipper, Wayne Madsen, has signed a new three year contract with the county. 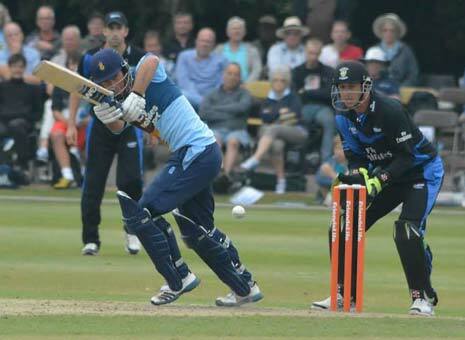 Madsen (above), had a further year left on his current deal, but with other counties expressing their interest in the Player of the Year, the Falcons decided to offer a fresh deal which sees the South African born batsman stay until the end of the 2016 season. Madsen, who amassed a fantastic 1,239 first class runs last season, with an average of 43.60, scoring three hundreds and eight fifties, was delighted to sign a new deal. After joining Derbyshire CCC in 2009, he scored a century on debut, won the Cricket Writers Club County Championship Player of the Year and the inaugural Christopher Martin-Jenkins Spirit of Cricket Award. Madsen also became the first batsman to reach a 1,000 runs for the summer in the County Championship Division One. Speaking to the official Derbyshire CCC website, Madsen (left), said, "I'm proud to have signed a new contract with Derbyshire, I've thoroughly enjoyed my five years at the club." Head coach Karl Krikken also commented that, "Other clubs wanted him, but it's important that we keep hold of our top players if we want to push for trophies."